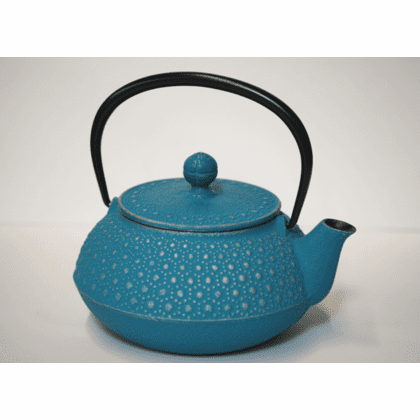 Turquoise and silver honeycomb cast iron teapot. Great for displaying and steeping your favorite tea. Has a stainless steel infuser basket and black enamel lined interior. 5-1/2" in diameter. Capacity: 20 oz.